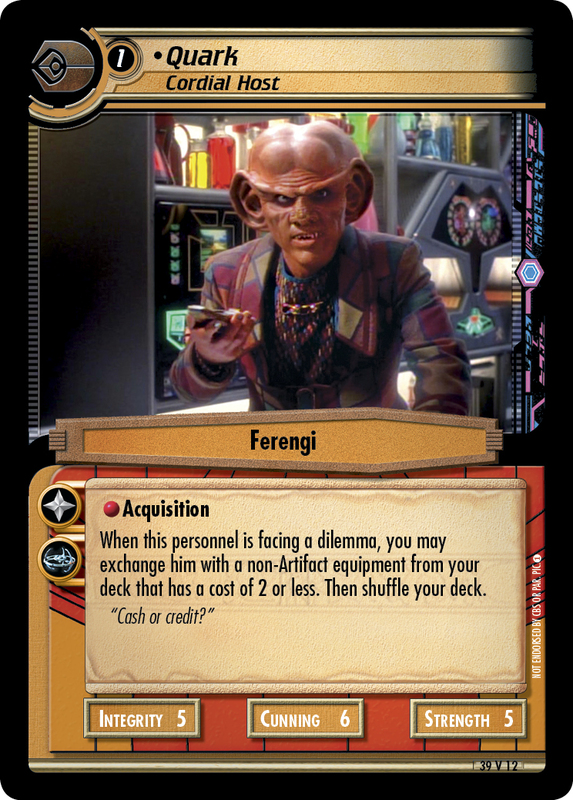 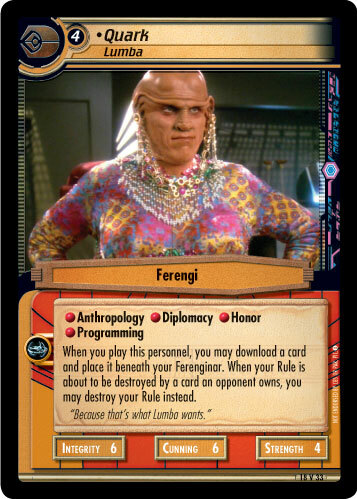 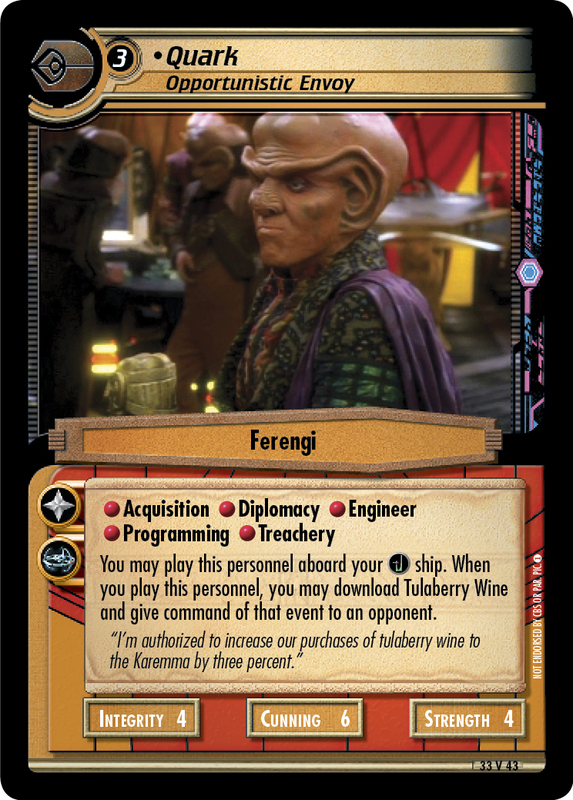 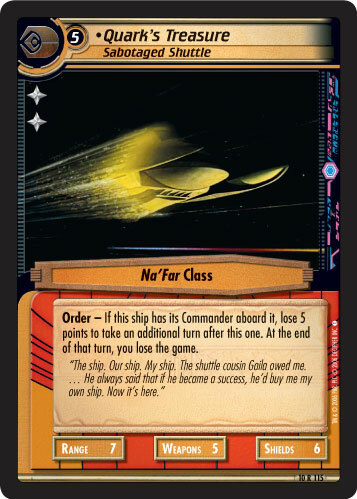 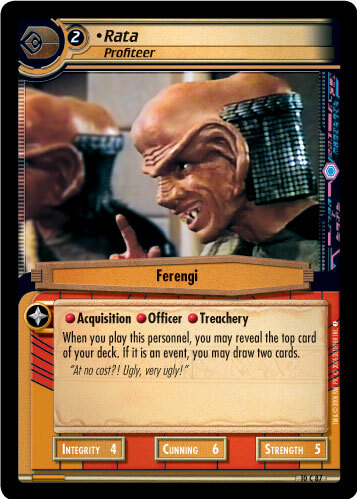 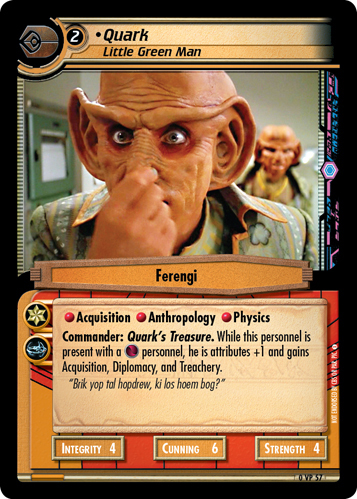 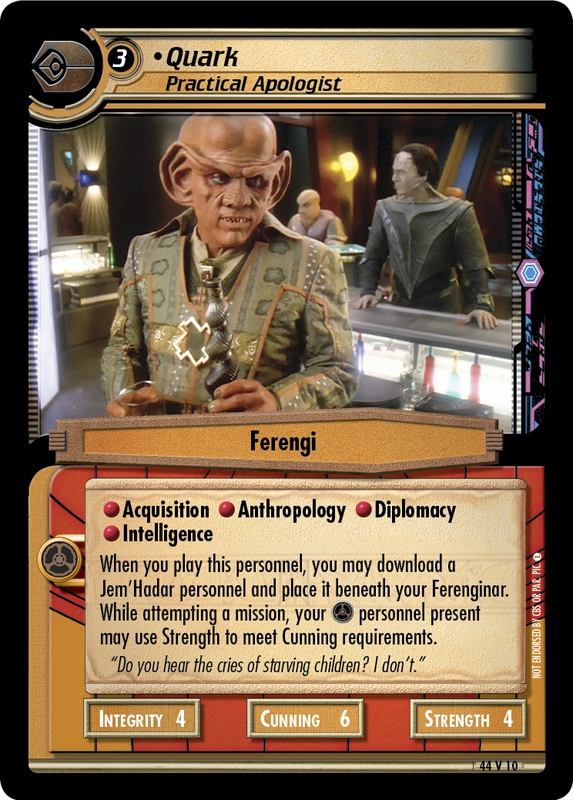 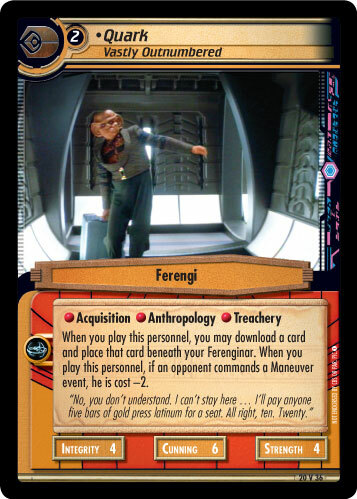 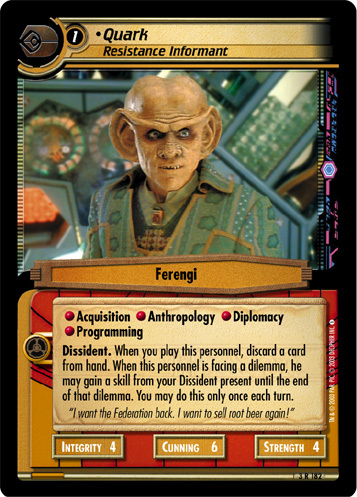 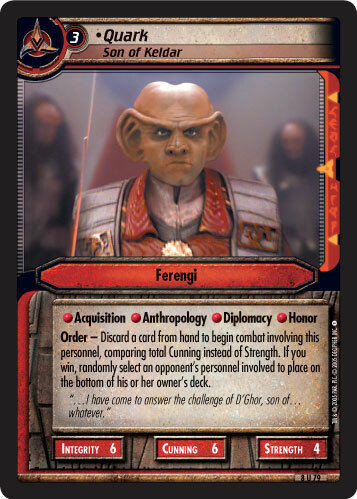 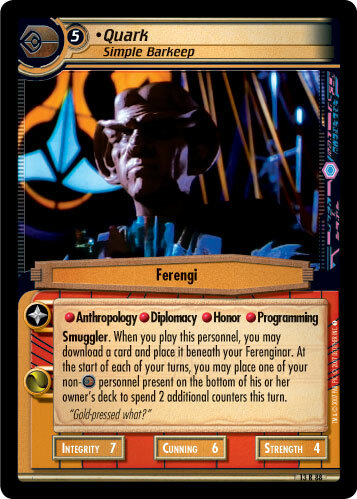 Commander: Quark's Treasure. 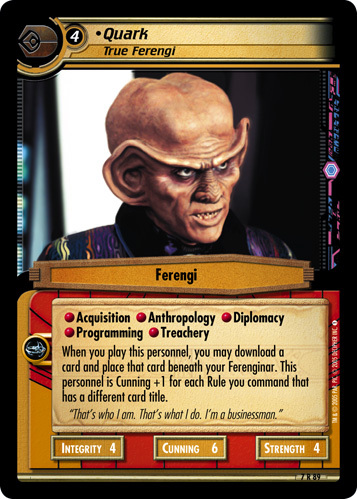 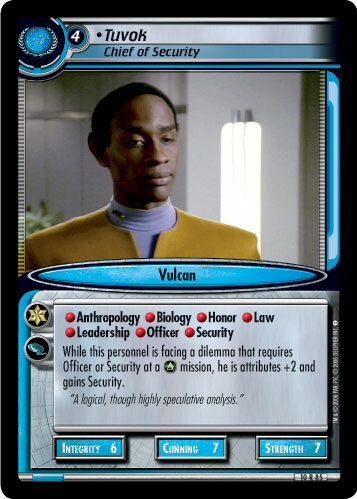 While this personnel is present with a personnel, he is attributes +1 and gains Acquisition, Diplomacy, and Treachery. 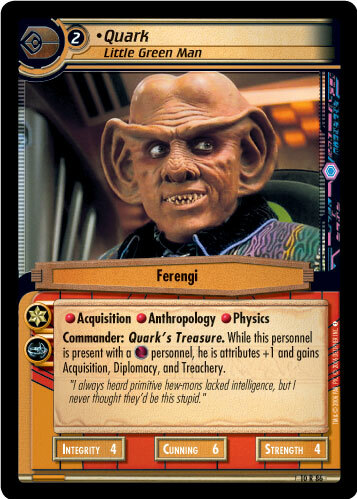 "I always heard primitive hew-mons lacked intelligence, but I never thought they'd be this stupid."